The launch of five commercial Iridium message relay satellites and a pair of U.S.-German orbiting geophysics probes on a Falcon 9 rocket from California has been delayed three days to May 22, and a week-long schedule slip to May 31 is expected for the next SpaceX flight from Cape Canaveral with an SES communications payload. The delay for the Falcon 9 launch from Vandenberg Air Force Base, California, allows time for SpaceX to resolve an issue preparing the mission’s Falcon 9 rocket, Iridium chief executive Matt Desch said Monday. Desch said Monday that the launch would likely be pushed back two days by the rocket processing issue, but Iridium announced Tuesday the mission would be delayed an extra day “due to range availability” at Vandenberg. The launch from California had been scheduled for Saturday, May 19. 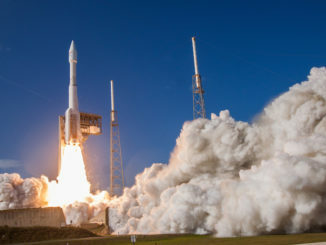 Liftoff is now targeted for Tuesday, May 22, at 12:47:58 p.m. PDT (3:47:58 p.m. EDT; 1947:58 GMT) from Space Launch Complex 4-West at the military base on the Pacific coast northwest of Los Angeles. The mission will be the sixth Falcon 9 launch for Iridium. Unlike the previous five SpaceX missions that deployed Iridium payloads, which each carried 10 of the company’s new-generation Iridium Next satellites, the next launch will loft five Iridium spacecraft in a rideshare arrangement with two Earth science satellites developed by NASA and the German Research Centre for Geosciences. 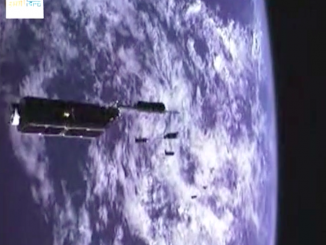 The Gravity Recovery and Climate Experiment Follow-On satellites will extend measurements of Earth’s gravity field collected by the twin GRACE satellites from 2002 through 2017. The gravity measurements, calculated by continuously tracking the exact distance between the two formation-flying spacecraft in orbit, will tell scientists about movements in Earth’s oceans, underground aquifers, ice sheets and land masses. 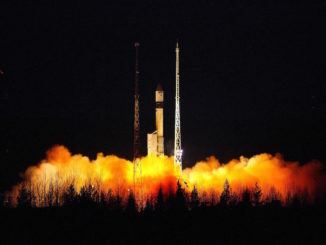 The GRACE-FO satellites, built in Europe by Airbus Defense and Space, were originally booked to launch on a Russian-Ukrainian Dnepr rocket derived from a Soviet-era ballistic missile. But Russia discontinued Dnepr launches as relations with Ukraine deteriorated in the wake of the Russian annexation of Crimea. That left the GRACE-FO satellites without a ride to space until German officials, which are responsible for securing launch services, negotiated a rideshare launch with Iridium and SpaceX. Two of Iridium’s upgraded, new-generation satellites were also left on the ground after the Dnepr rocket program was halted. With next week’s launch, Iridium will have 55 of its new satellites in orbit. They replace Iridium’s aging voice and data relay satellites launched in the late 1990s and early 2000s, providing satellite phone, messaging, and ship and aircraft tracking services worldwide. The Falcon 9’s upper stage will deploy the two GRACE-FO satellites in orbit around 300 miles (500 kilometers) above Earth, then reignite to climb into a slightly higher orbit for release of the five Iridium payloads. The May 22 launch will employ a previously-flown Falcon 9 first stage booster first used on the Jan. 7 flight of the U.S. government’s top secret Zuma payload from Cape Canaveral. No recovery of the first stage is expected next week — the booster is from an earlier model of the Falcon 9 rocket now out of production — but SpaceX could attempt a retrieval of the Falcon 9’s payload shroud using a fast-moving ship dispatched from the Port of Los Angeles. The nose fairing, which protects satellites during the initial minutes of a launch, is the next piece of the Falcon 9 rocket SpaceX intends to recover and reuse. A vessel named Mr. Steven has been outfitted with a large net, or “catcher’s mitt,” to try to capture halves of the two-piece fairing as they descend under steerable parafoils. Iridium has two more missions reserved with SpaceX, each set to add 10 more Iridium Next satellites to the communications network. One of the missions is scheduled for July, with another expected by the end of the summer, and Desch said both will fly on the upgraded “Block 5” version of the Falcon 9 rocket, which debuted Friday with a successful commercial launch from the Kennedy Space Center in Florida. SpaceX will follow next week’s launch with one more Falcon 9 flight before the end of May from Cape Canaveral’s Complex 40 launch pad. 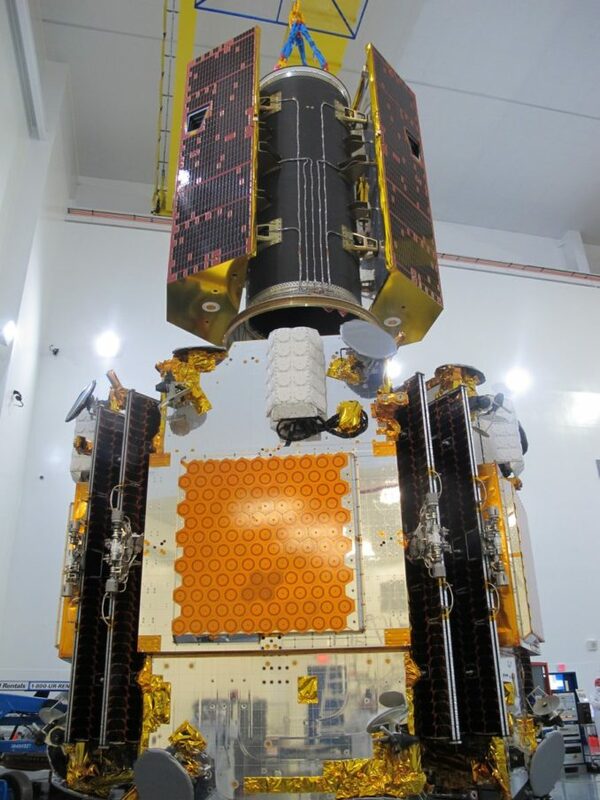 On that mission, which an SES official said is currently scheduled for no earlier than May 31, SpaceX will haul the Airbus-built SES 12 communications satellite toward a perch in geostationary orbit more than 22,000 miles (nearly 36,000 kilometers) over the equator. Officials had previously expected the SES 12 launch on May 24, at the earliest. SES 12 is the largest and most powerful all-electric satellite ever built, allowing engineers to replace the mass of conventional liquid propellant with additional instrumentation for extra telecom relay capacity. Equipped with eight antennas and 76 active Ku-band and Ka-band transponders, SES 12 will serve the direct-to-home television broadcast, mobile communications and high-throughput data relay markets across the Middle East and the Asia-Pacific regions, including India and Indonesia. Like the Iridium/GRACE-FO rideshare launch, the SES 12 mission will fly on a reused Falcon 9 first stage booster refurbished after sending the U.S. Air Force’s X-37B spaceplane toward orbit last September. 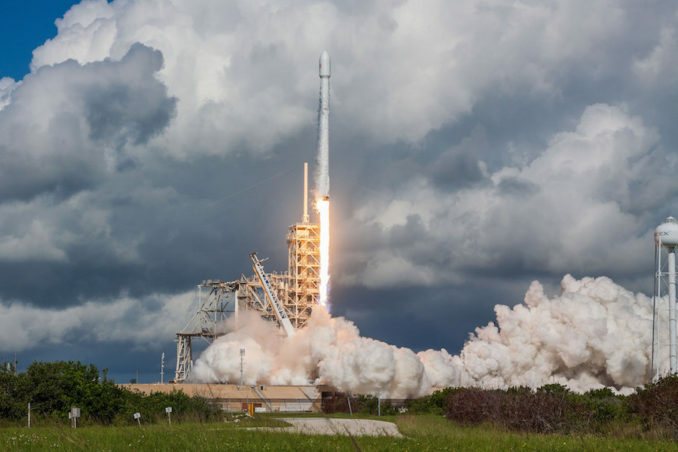 SpaceX has two missions planned for June, both from Florida, with the Telstar 19 Vantage communications satellite and the company’s next Dragon resupply flight to the International Space Station.